Pick Up Your Copy of Superstar Business Secrets Today! 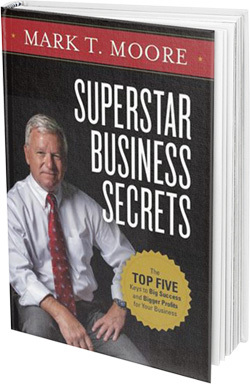 I am pleased and proud to announce the release of a Superstar Business Secrets, a major writing that is years in the making. Do You Know the State and Health of Your Customer Base? It is our customer base that keeps our doors open and the lights on. After you have gone to great lengths to attract customers, you need to focus on keeping them. Mark will bring a dynamic and powerful speaker to bring energy and fun to your next event. that will have an unbelievably positive effect on the growth of your business. Mark is an international business leader with a solid history of successful business ventures with revenue creation and business profitability being the main focus.